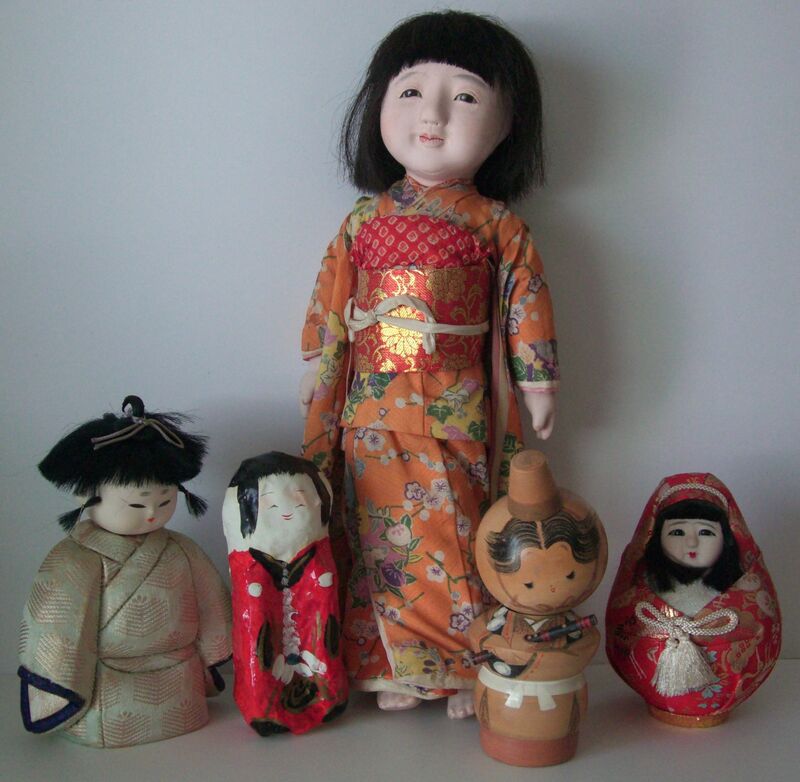 Shopping at the flea markets in Kansai this month, I purchased five different vintage dolls. Dolls are made all over Japan as objects of art or toys, and there is a huge variety of styles and materials to choose from. It’s funny that I was never interested in dolls as a child, but now I’m starting to find them fascinating!